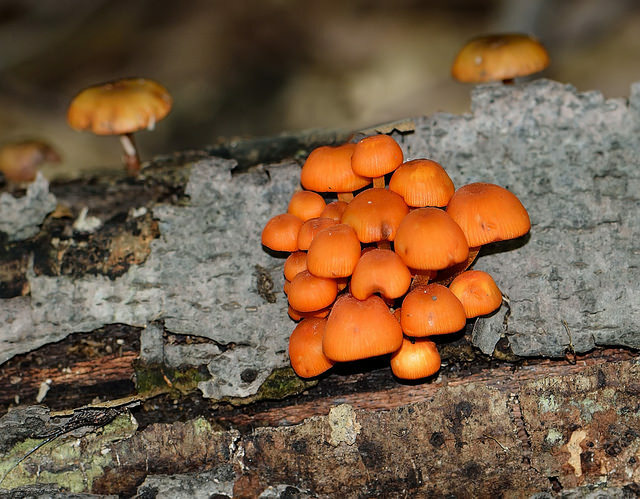 Found in clusters on stumps or limbs on the ground in hardwood forests. 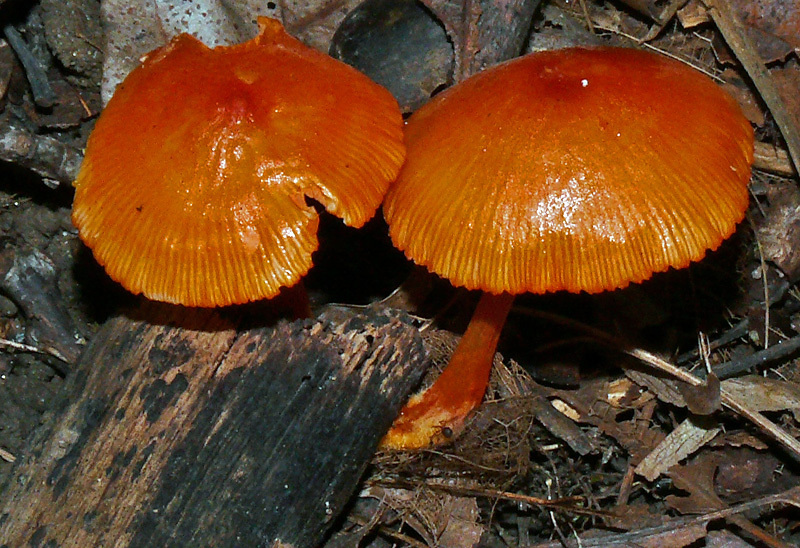 Cap: Reddish-orange (paler in age), viscid, convex, grooved; flesh white or slightly orange, thick. 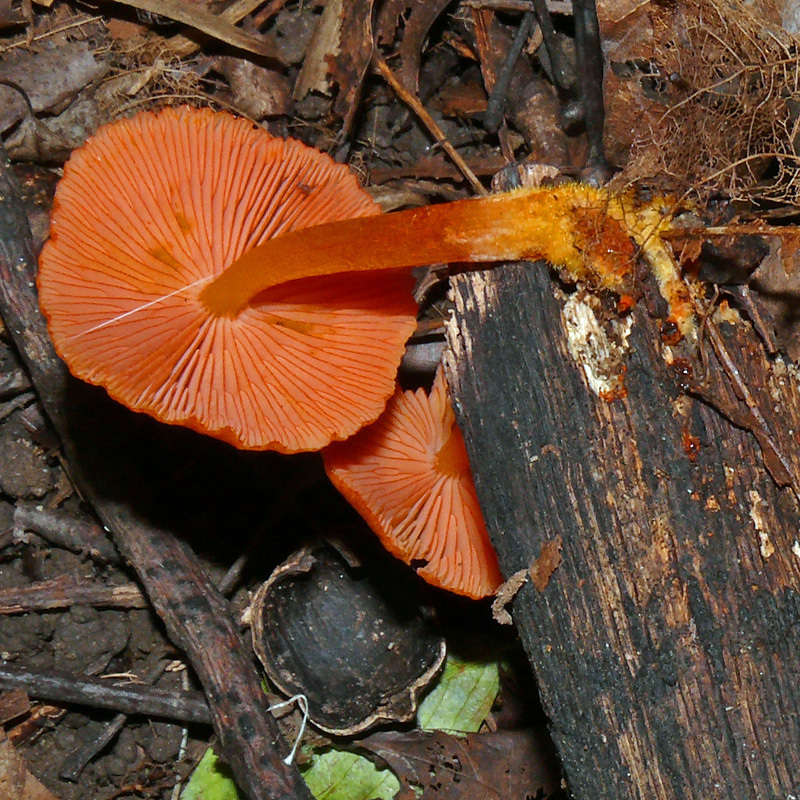 Gills: Pinkish-orange, stain yellowish-orange, edges red-orange, close, forked. 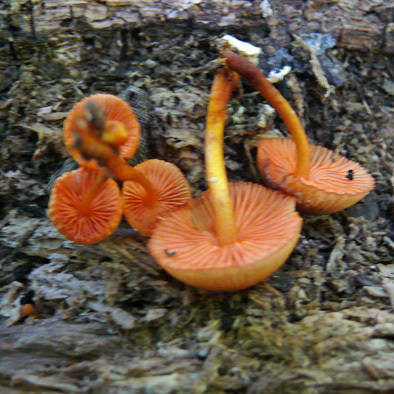 Stalk: Orange overall, sometimes yellow near top; base densely hairy (usually orange); hollow, pliable. 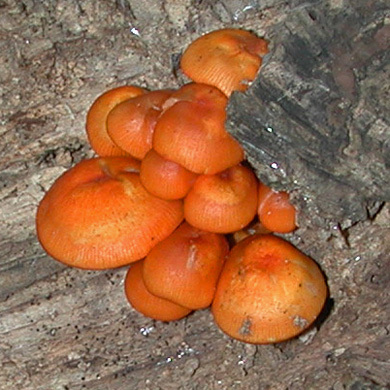 Note: Handling fruiting bodies may stain hands orange (J. Solem, pers. comm. ).